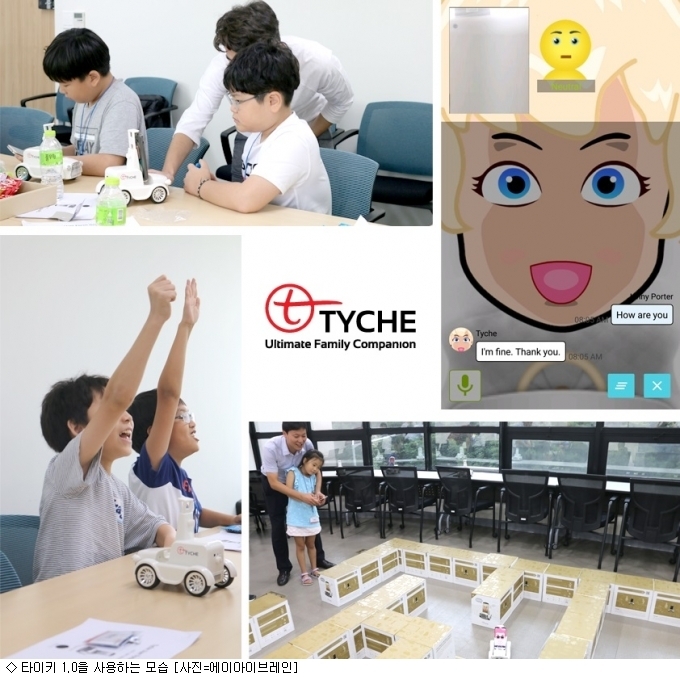 Tyche is an AI robot for smartphones that allows natural conversation in English, helping children develop intelligence through sympathy. It provides an AI secretary function to search and notify information and to manage schedules. It also supports AI entertainer functions such as music play, word chain game, and IQ training. According to AIBrain, Tyche is composed of reasoning engine, AICoRE(Adaptive Interactive Cognitive Reasoning Engine) and a memory graph that operates similarly to human memory. AICoRE is a cognitive reasoning engine that integrates problem solving ability and learning ability with features to process various knowledge like human being and to incrementally improve the ability. On the other hand, AIBrain is not only launching Tyche 1.0 in Korea but also preparing for global launch through Amazon and in Chinese market. Along with Tyche, ‘Daisy’ an AI interactive English learning app, and Autonomy for Unity, an AI game development plug-in, will also be released. This entry was posted in Tyche and tagged AIbrain, Tyche. Bookmark the permalink.